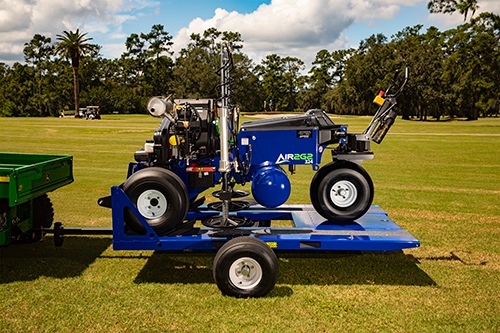 Superintendents at the San Diego GIS have an opportunity to win a year’s lease on the new AIR2GO Value Pack, which comprises an AIR2G2 324 air-injection machine, an AIR2HP hand-held tool and an AIR2GO shuttle trailer. To register, just stop in at the GT AirInject area on the trade show floor (booth 3817) by Thursday, Feb. 7. In addition, the company has announced that orders placed for the AIR2GO Value Pack during the GIS will carry an at-show discount of $2,000 off MSRP. The AIR2HP, a flexible and easy-to-use hand-held tool that maneuvers in small spaces, around tree roots, shrubs and flowers, as well as drain fields, bunkers or spot-treated problem areas. The AIR2GO shuttle trailer includes a convenient mount for the tool. The company lists the benefits of the AIR2GO Value Pack as: fast load and unload; one crew member can do it all; you can treat, then move quickly between treatment sites; it safely transports around the golf facility; it hooks to any standard hitch on a cart or truck; and the mounts and safety latches are custom-designed for the AIR2G2 324 and AIR2HP. 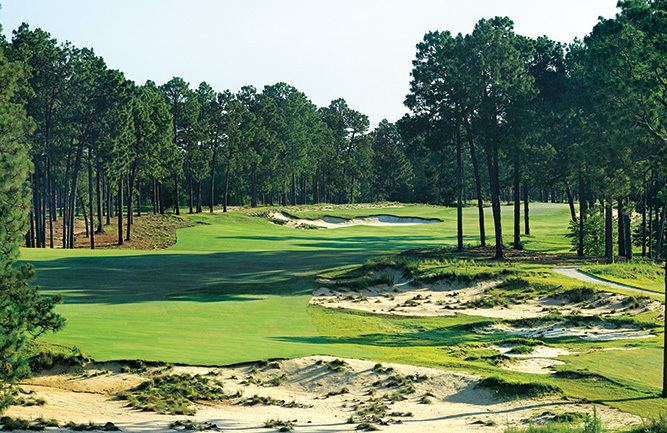 No purchase is necessary to win the year’s lease, and superintendents need not be present to win. Entrants must be registered attendees at the GIS in San Diego between Feb. 6 and 7, 2019. Entry forms are available in booths 3816 and 3817 at the GIS, and all entries must be filled out and deposited in the entry box in booth 3817 before 4:25 p.m. Feb. 7. Winners will be selected at an in-booth drawing at 4:30 p.m. Feb. 7, 2019. Winners will be notified by phone and/or email no later than Feb. 28, 2019. GT AirInject, Inc. is based in Jacksonville, Fla.